As with most online games, I like to see numbers behind lag I'm experiencing. I know the game shows notifications about extrapolation and packet loss by default, but not ping. How can I see my ping? Enable the option "Display performance stats" in the video options. This will show FPS and ping, in the top left corner. Expanding on Kevin van der Velden's answer, the "Video" options were changed in an update to allow showing or hiding individual performance stats. 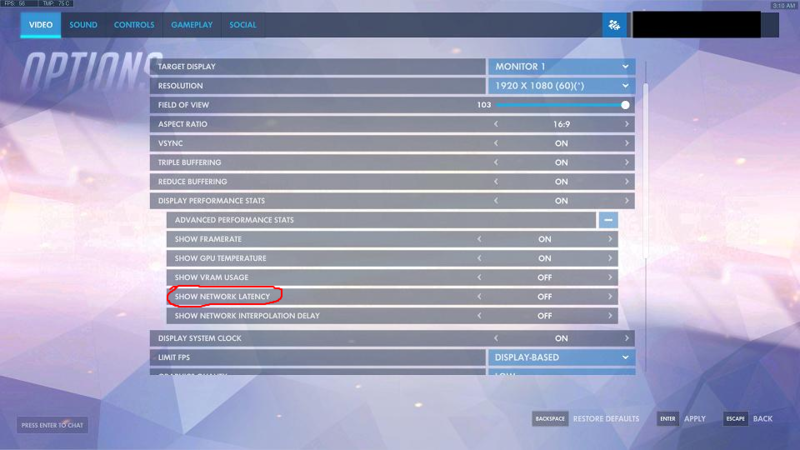 After enabling "Display Performance Stats", open the "Advanced Performance Stats" section below and make sure that "Show Network Latency" is enabled. In addition to displaying ping, the section also has options for "Framerate", "GPU Temperature", "VRAM Usage", and "Network Interpolation Delay"
Control + Shift + R is the default setting to toggle it. If you scroll down to the bottom of controls you can find an option to change it. What do these two symbols (thunderbolt, stack of pages) mean? 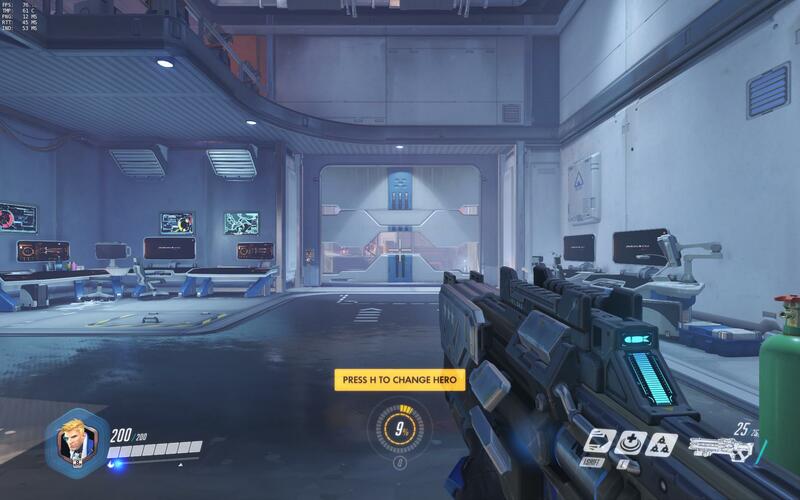 Is there a way to modify the UI in Overwatch? Why are the heroes of Overwatch fighting? Is there a time limit in Overwatch? How do I spectate a game I am in? What's the most powerful attack in Overwatch when all possible buffs are stacked? How is it that you play Overwatch for free for a limited time? How to reset MMR to escape Bronze tier (bottom 1%)? Is there any way to enable Overwatch League's overhead view?